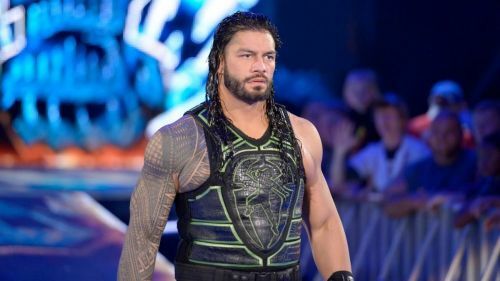 Since making his WWE main-roster debut in late 2012, Roman Reigns has transformed from a likeable bad guy in The Shield to one of the most polarising babyfaces that the wrestling world has ever seen. However, whether you love or hate “The Big Dog”, it cannot be denied that he has been involved in some spectacular matches and moments during his five-and-a-half-year run as one of WWE’s most prominent Superstars. His WrestleMania record alone surpasses the careers that many Hall of Famers have had, while he has been the star attraction at more Royal Rumble events than anybody else in recent WWE history. So, which moment ranks as the best of Reigns’ career so far? His first Rumble win, perhaps? How about his main-roster debut? And how does his victory over The Undertaker compare to his many other accomplishments? Without any further ado, let’s count down five of his greatest moments to date in WWE. Roman Reigns, Seth Rollins and Dean Ambrose made their main-roster debuts by interfering in the main event of Survivor Series 2012 to prevent Ryback from winning the WWE Championship in a Triple Threat match against CM Punk and John Cena. 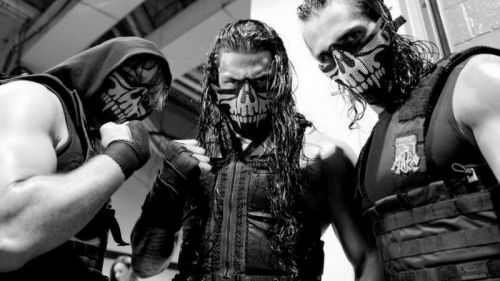 One month later, the trio who became known as The Shield were involved in their first match as members of the main roster, taking on Ryback, Daniel Bryan and Kane in a TLC match (minus any titles on the line) at the TLC pay-per-view in December 2012. It was clear from the start that all three “Hounds of Justice” were going to be around in WWE for a very long time after their impressive debut, which is why this pivotal match for the trio ranks right up there with Reigns’ greatest career moments. You can check out highlights from the chaotic six-man battle in the video below.